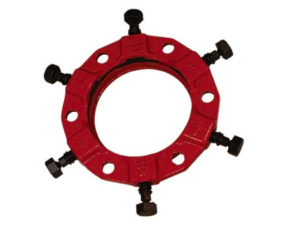 Ford / Uni-Flange | Pro-line Fittings Inc.
Ford service saddles are used to install corporation stops on virtually all types of water main pipe including iron, PVC, and asbestos-cement. Tapping sleeves of fabricated steel and stainless steel complete the Ford line of tapping devices. 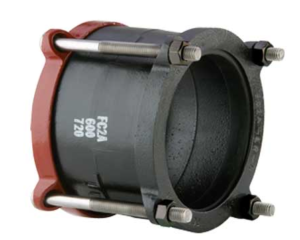 Ford Cast Couplings offer an easy and economical way of joining pipe whether the pipe is of the same nominal size and/or type or different at each coupling end. 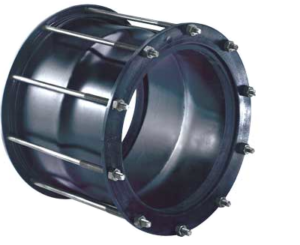 Ford couplings can be made with a many options including stainless steel nuts and bolts and Epoxy coating. 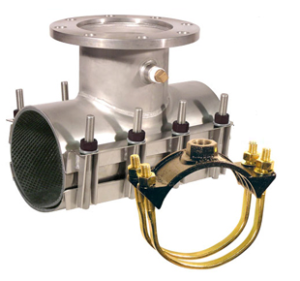 All Ford fabricated steel products are built to meet the requirements of applicable AWWA standards. Available options include a variety of stainless steel fasters, a variety of gasket material and fusion bonded epoxy coating.